I love that song -- cool you know they co-author!! Hey you should find it if Syndicate of Sound guy still has the T Bird bass in the b/w vid. Don’t sweat it, Sammy. I thought it was a Herman’s Hermits song. Tub ---- shame on you! 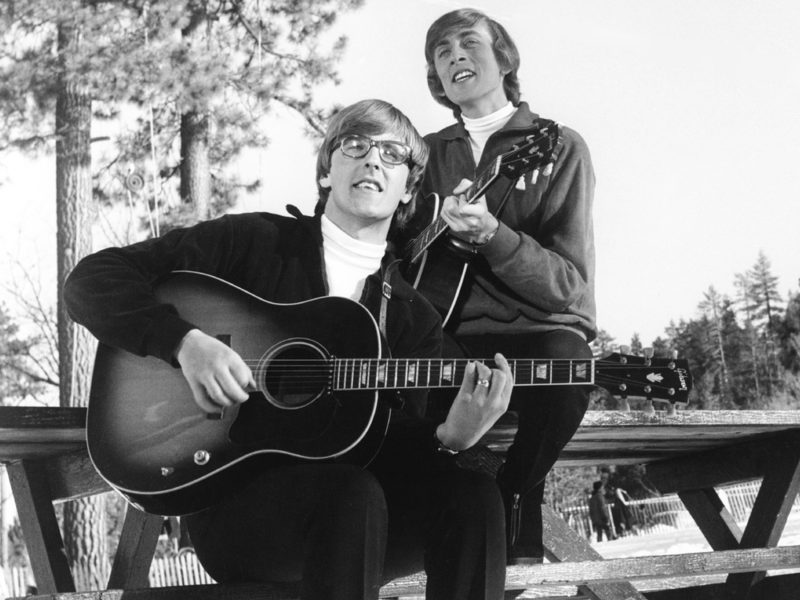 "A World Without Love" was by Peter and Gordon, not Chad and Jeremy. Peter Asher is a Gretsch guy, and was the special guest at the NorCal RoundUp not so very long ago. True, they're both British, and both featured a guy with glasses, but they sounded very different. 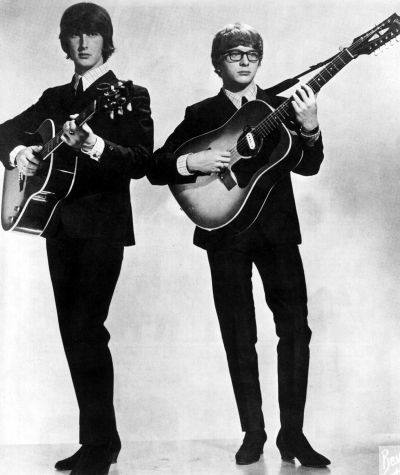 Yes, but now Peter Asher and Chad Stuart are performing together as Peter and Chad. Confused yet? Nope. However, Jeremy and Gordon may be. Something about the wrong glasses, I think. To confuse things even more, here are Chad, Peter and Jeremy and all are wearing glasses. Now if Gordon Waller was still with us we could really switch things around. In fact here they are all together signing autographs back in 2008. Maybe they could hum together. Both groups cut their teeth with the J160-E and B-45-12 and in the performances there was not a 12 string to be seen (you see how I brought it back to topic?). The post-Graham Nash Hollies. Obviously wasn't lip-synced with the repeated intro. I always thought that these Vox guitars looked like they belonged with the Flintstones. Maybe the Beau Brummelstones should have played them. The man best known for playing a Ric 12 actually had a 1966 Gibson ES-335 as well and played it on a few songs. See him playing it in the video for the song "Shoplifters of the World Unite". Bob, yer makin’ me ‘ead ‘urt, mate. Will Sargeant used a Vox and now a Charvel, so I think did Robert Smith. Yep, Gibson neck on an Epi body. I play an Astro - Jet 12 string.